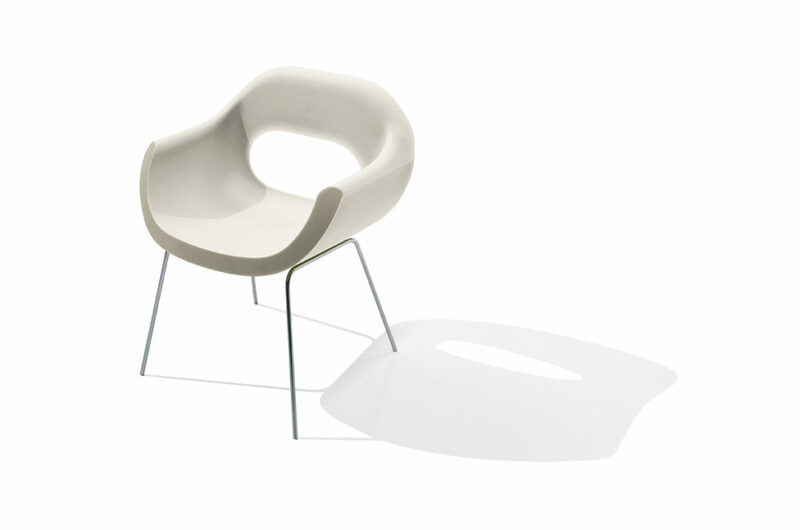 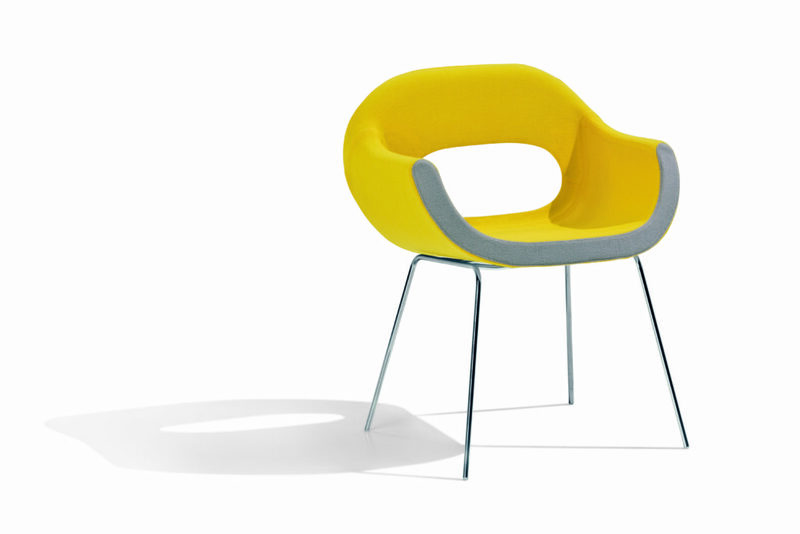 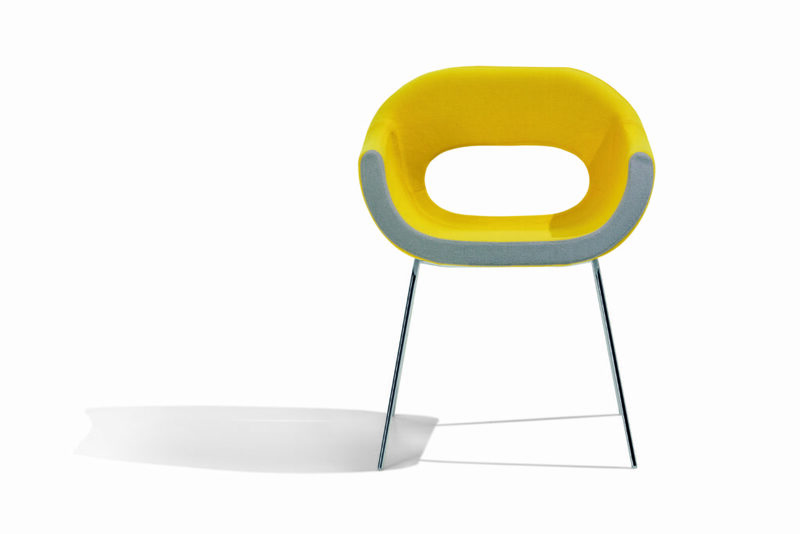 Ohm is a small armchair with a wide and dynamic form. 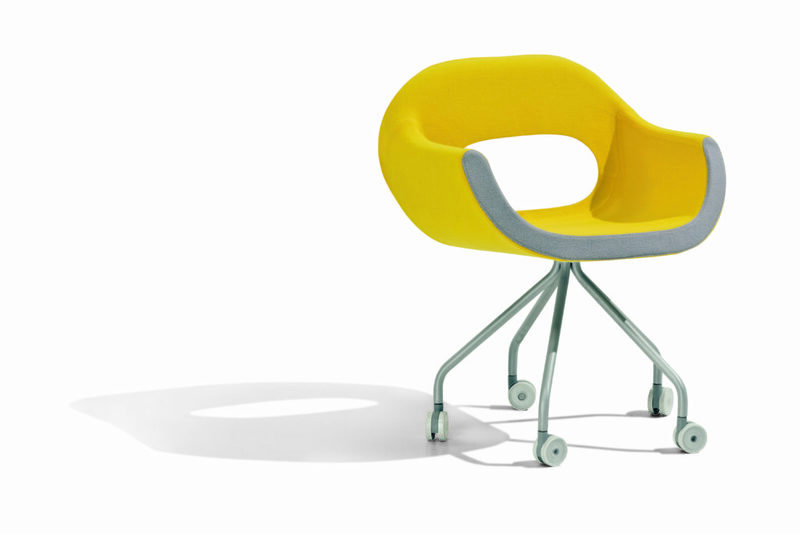 A wrapping frame, where naturally starts the armrests, inviting to sit comfortably. 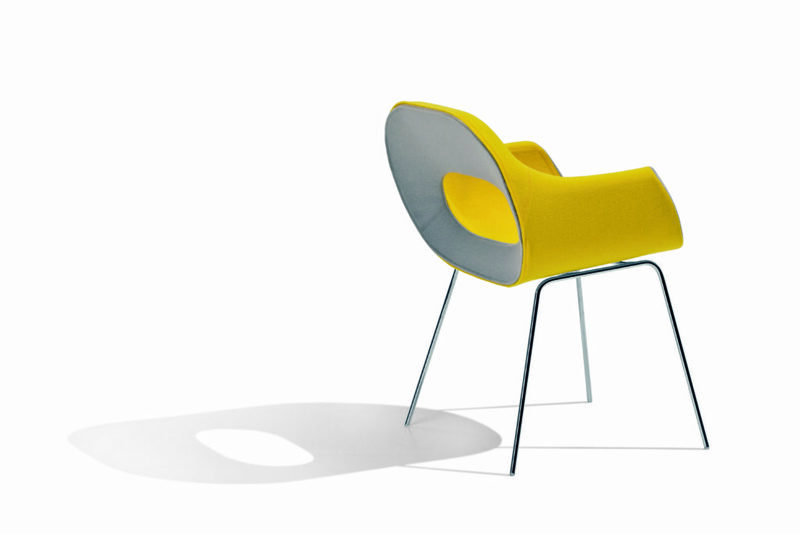 The light shape is marked, for the upholstered version, by the two colors version. 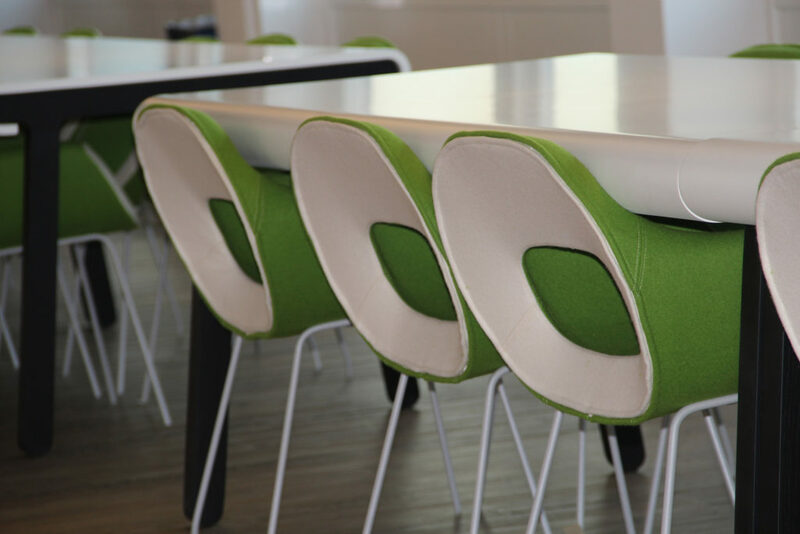 Thanks to its character and the finishings available, leather or fabrics, Ohm can furnish both domestic and public spaces.